Beautifully crafted and amazingly portable. 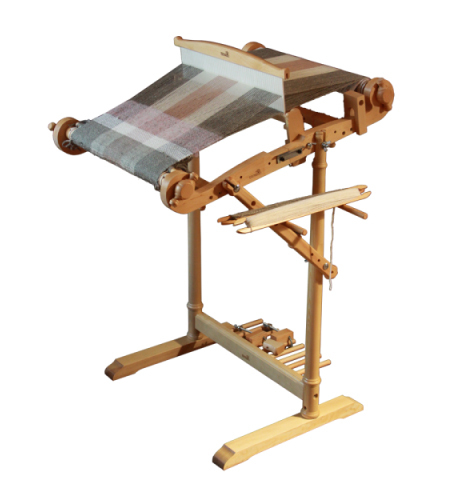 The Kromski Harp Loom is not only the perfect loom to get into weaving, but once mastered is excellent for more experienced users too. 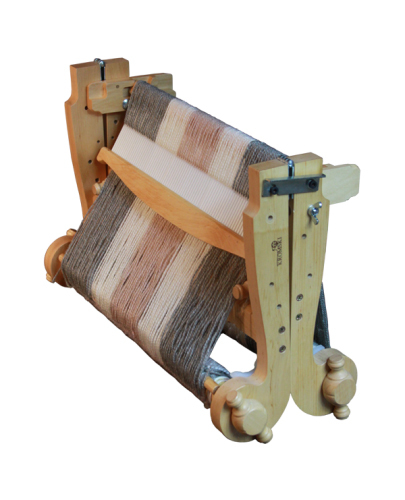 It's also great fun to use up all those odds and ends of yarn that seem to build up! 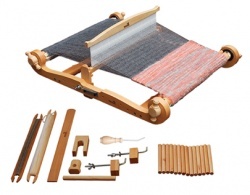 The Harp Loom comes with everything you need to get up and running, minus the wool of course. The woodwork is finished to an exceptional standard, as you would expect from a family of European woodworkers. Finished in a clear varnish, the Harp folds away for transporting and you can even leave your work attached while you're travelling.